Closet is one of the closest and the foremost furniture one interacts on a daily basis. Whether one is just getting out of the bed or getting back into the home, one knows that one of the first things one would walk up to will be the closet. Noble Home's Built-In Closet System will surely make those day-to-day moments a pleasure. This is a common and typical built-in closet in most North American houses. Using drywall method, it requires a lot of time and material to build the closets with such design and structure. Also the bi-fold doors on the drywall closets easily wear out over time, which leaves many of those frustrated who encounters problems caused by its weakness. Although drywall closets are basic and simple, it is generally weak, inefficient in terms of its cost and function as a storage space. To solve those common issue with the drywall closets, Nous Home uses aluminum frames and posts that are durable and long-lasting. 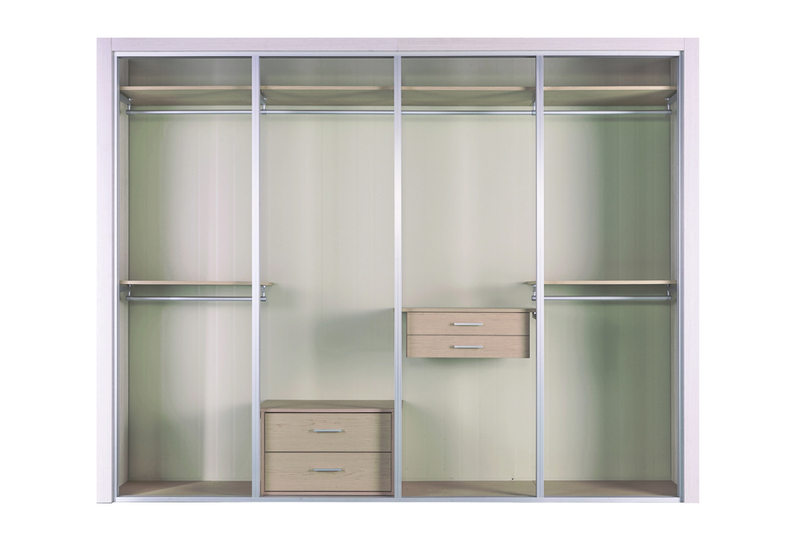 Thanks to its strength, we can customize and maximize the space inside the closet and its span of life. Also its adjustability provide much freedom to designate closet space within the house; It not only opens possibility for more closets but also other spaces which allow flexibility to more freely design the interior space. There is a special part of Nous Home's Built-In Closet System called “Wing”. Its main function is to support shelves and other closet components, but it can also be the support for hanger bars to utilize and maximize the space below. Nous Home's carefully selected collection to complete their whole new closet space.